Select "Chapters" to read any chapter. Below are two short excerpts. How might we construct an accurate (or, at least, more accurate) picture of that reality? We should start with what we know, with solid fact; we should begin with the knowledge we’ve collected, refined and repeatedly verified over the centuries. 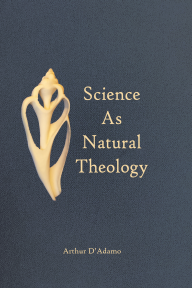 In other words, we should attempt to dispassionately infer the theological consequences, if any, of science. We hope in these pages to describe a worldview that qualifies as theistic, atheistic, neither, or both. The theist says an eternal, all-powerful, all-loving, all-good supernatural God exists, who created the universe for us, who (eventually) rewards good and punishes evil, who gave us an eternal soul, who dwells in a place where good people go after death, who created the place where evil people go. The atheist finds no evidence of the supernatural, and says we live in a universe largely hostile to human life and apparently indifferent to our moral virtues or failings, that when we die our body decomposes and returns to the earth from whence it came, that we cease to exist, and nothing of us remains except memories in the minds of those who knew us. The theist's worldview satisfies the heart, which seeks the emotional assurance of a powerful Person who loves us and protects us, of eventual justice for the good that goes unrewarded and the evils that go unpunished, of the prospect of a wonderful, eternal life. The atheist's worldview satisfies the mind, which conducts a dispassionate, clear-eyed examination of the evidence and reaches obvious conclusions. This book describes a worldview that qualifies as theistic, atheistic, neither, or both. We may imagine our worldview as the balance point of an unstable equilibrium. We learn in physics of stable and unstable equilibria. Bump a ball in stable equilibrium (a ball sitting in a cup, for example) and the ball moves but eventually returns to equilibrium. But disturb a ball in unstable equilibrium (balanced atop a mountain peak, for example) and the ball does not return to its state of equilibrium, but rolls to one side or the other. By analogy, we picture our worldview as a ball atop a mountain peak; on one side lies theism, on the other, atheism. Thus, our worldview lies between the theist and atheist worldviews, and, to some extent, resolves the theist/atheist dichotomy.